It’s Spring! A Great Time for Cycling, Running, Walking, and Working Out! 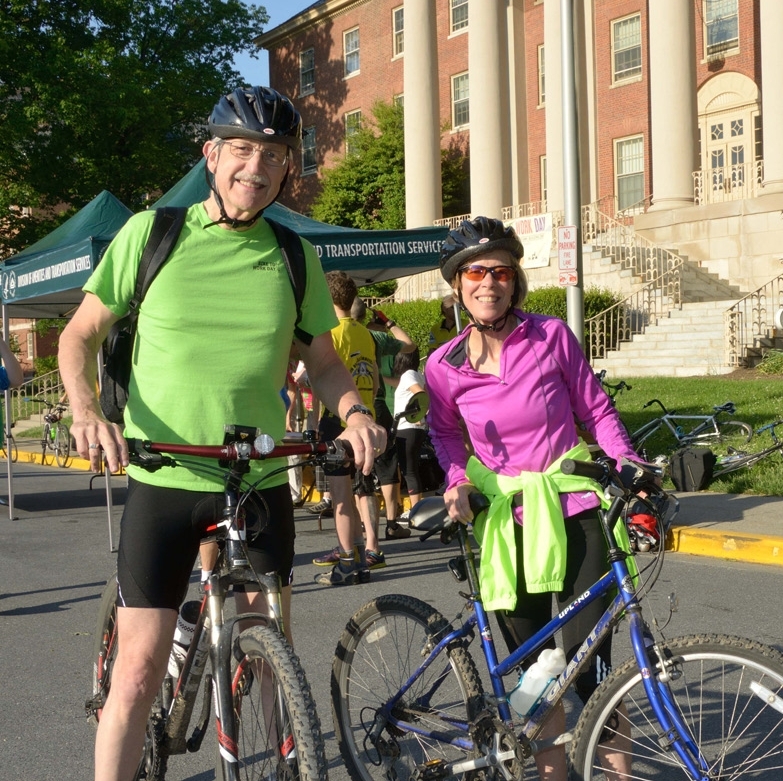 Caption: My wife Diane Baker and I, enjoying last year’s NIH Bike to Work Day. Happy Bike to Work Day! I really wish that I could take part in the festivities on the National Institutes of Health (NIH) campus in Bethesda, MD as I have in past years, but NIH-related travel is keeping me away from my trusty bike. So, let me take a moment to commend all of the enthusiastic cyclists at NIH, along with everyone else out there who’s doing everything you can to get and stay physically fit. Here at NIH, we are particularly well situated to know the facts: taking charge of your health by participating in an exercise program and eating the right foods is among the most important investments you can make in your future. 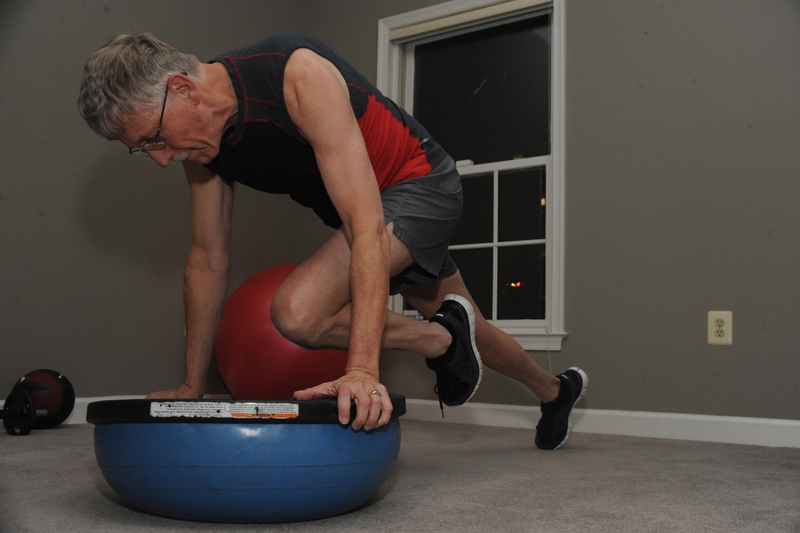 Besides being National Bike Month, May has also been designated National Physical Fitness and Sports Month by the President’s Council on Fitness, Sports and Nutrition. This year, the White House would especially like to see America’s young people reduce their “screen time” and boost their levels of physical activity. Specifically, the President has challenged kids to get at least 60 minutes of physical activity per day, and adults, at least 150 minutes per week. Walking, running, biking, swimming, golfing, yoga—the activity doesn’t matter, as long as you’re active. A few years ago, I took that message to heart when I learned that I had two copies of a specific genetic variant associated with increased risk for type 2 diabetes (T2D). To figure out what I could do to reduce my chances of developing the disease, I turned to science—specifically, the results of the NIH-funded Diabetes Prevention Program trial. That study found a combination of increased physical activity and modest weight loss was a highly effective way to lower T2D risk in those with pre-diabetes. I didn’t have any elevation of blood glucose yet, but I didn’t want to go there. Like many people, I was eating too much and exercising too little. Something had to change! So, I committed myself to working out three times a week and also switched from snacking on sugary treats to munching on almonds and other high-protein, nutritious foods. I lost 25 pounds—about 12% of my body weight—in the first six months of my new routine, and, through continued exercise and careful eating, have kept it off ever since. So, whether you gravitate towards cycling or swimming, jogging or judo, volleyball or basketball, I urge each of you to make a commitment to become more physically active in your own lives. And if you’ve been putting it off, May is a great time to start! Caption: One part of my early morning exercise routine. For those who are spiritual or religious: I “gave up meat for Lent” and lost 26 pounds. I was 176 and down to 150. I began eating meat and chicken and last night I had a juicy ribeye steak (medium) and mashed potatoes and when I stepped out of the shower, I was still 150 lbs. While on the fish diet, I used to exercise religiously every day 60 situps, 90 leg raises, 60 pushups and 150 dumbbell curls. I now only exercise 3 X per week and the weight is holding at 150!